Congratulations to Maggie Terry and Joanne Mattiace, owners of their new business, LEGAL LEAF, LLC at 4 Whites Bridge Road in Windham. 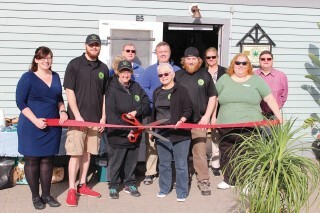 They were welcomed to the Windham business community with a Ribbon Cutting Ceremony on Friday, May 11. The ceremony was attended by several Sebago Lakes Region Directors.